A simple and delicious 30 minutes meal, these Italian Sliders are bursting with flavor and are a real crowd pleaser. Even picky eaters love them! 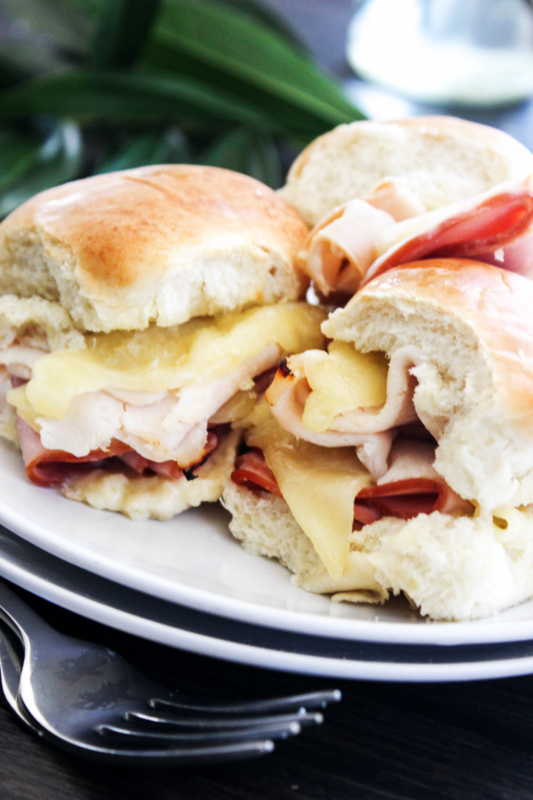 This recipe for Italian Sliders was inspired by my favorite Subway sandwich, the Italian BMT. It’s loaded with provolone cheese which let’s be honest makes everything better, black forest ham, pepperoni, and salami. 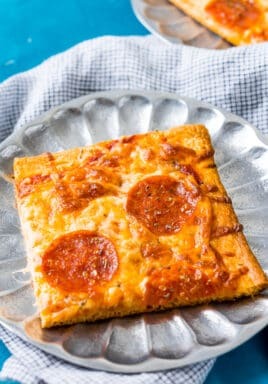 This has become our family’s favorite quick & easy dinner. Pin it to your SANDWICHES BOARD to SAVE it for later! You would think that during the summer months I would have plenty of time to prepare dinner. I mean all of the kids are home, we are “relaxed” with really no schedules. Well, this is at least what I tell myself and the truth is that is hardly the case. It seems that when it comes to summer, we are busier than during the school months. The kids are all in sports from baseball, basketball, camps, dance and cross country. Then on top of that, you have summer vacations, playdates and afternoons at the pool. This allows really no time with laundry and everyday life, oh and work! This summer we were horrible about eating dinner at home. I know this may make you laugh because I am a food blogger, but let’s get real who has time in the summer for these long thought out meals? Not me. I am so opting for either A) out to eat or B) an easy meal that is ready in under 30 minutes. While option A seems awesome, who doesn’t like to go out? It gets pricey for 7 people, as we have 5 kids and it get’s old. I would much rather eat at home. So I love option B – easy 30 minute meals. 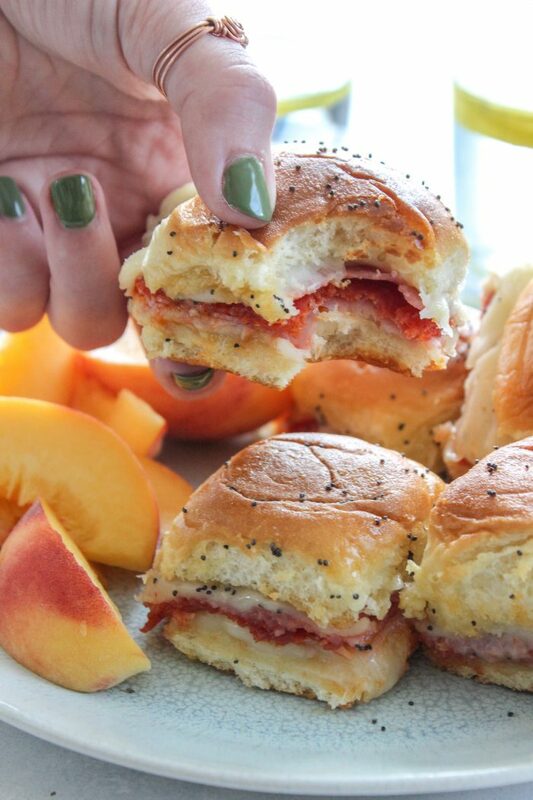 That is exactly what these Italian Sliders are – easy, delicious and kid approved which makes for a mom win! My son, Madden is really our picky eater. Like this kid literally only likes Qdoba and peanut butter & jelly sandwiches. Every time dinner comes, he pouts. So the first time I made these was actually for lunch he ate one and then went out to play, 15 minutes later he was back inside eating another. Thirty minutes after that he brought in his friend and he had another and offered his friend one. This friend said he hated pepperoni but tried it anyway and exclaimed this was the best lunch he has ever had. So while this may just seem too simple, the kids will love it. While you could easily serve this with some dipping sauce like marinara or pesto. My kids love these plain. They also love the addition of the buttered topping with poppy seeds. I like subbing the poppy seeds to Italian seasoning but honestly, if the kids will only eat it with poppy seeds I am game. 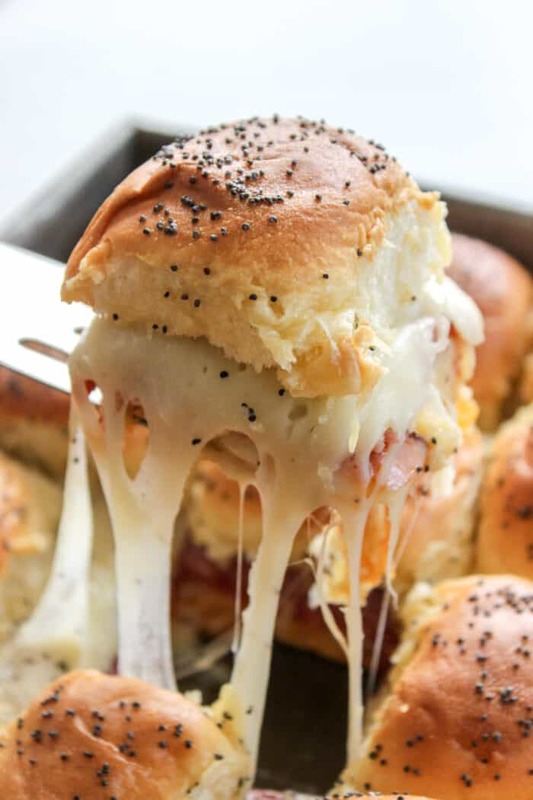 Here are a few tips for making the best Italian Sliders. Make sure to oil your pan. Be sure to preheat your oven. This will allow for the best outcome and not to have a mushy slider. Use deli meat. Ask your deli to slice all of your meats fresh. Buying packaged meats are typically sliced too thick, this will make the pepperoni overpower the rest of the flavors in the slider. Use Kings Hawiaan rolls their flavoring is spot on with a touch of sweetness, it makes for the perfect combination with all of your savory ingredients. Enjoy these cheesy Italian Sliders friends! 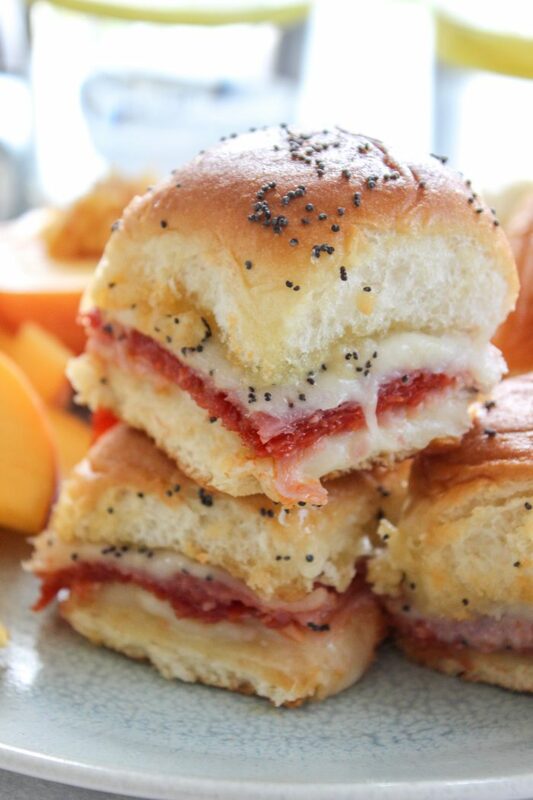 Our family loves sharing our favorite recipes with you and these easy Italian Sliders are just perfect for those busy nights. 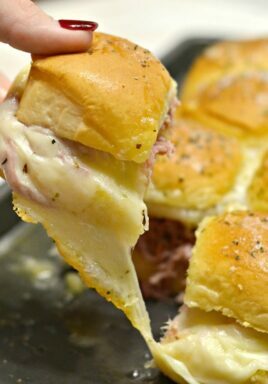 My favorite kitchen items I used to make this recipe for Italian Sliders. 9×13 BAKING PAN: I use my 9×13 baking pans all the time. Dinner, cakes and even for play dough fun, these are a kitchen must have in our home. I prefer the dark pans over glass pan – all because I feel like they cook more evenly, but this is just my own personal preference. GLASS MEASURING CUPS: I use these all the time – almost daily. The large 4-cup one I use as a bowl most of the time. Mixing together sauces and gravy. The small ones I use for baking, mainly measuring liquids. 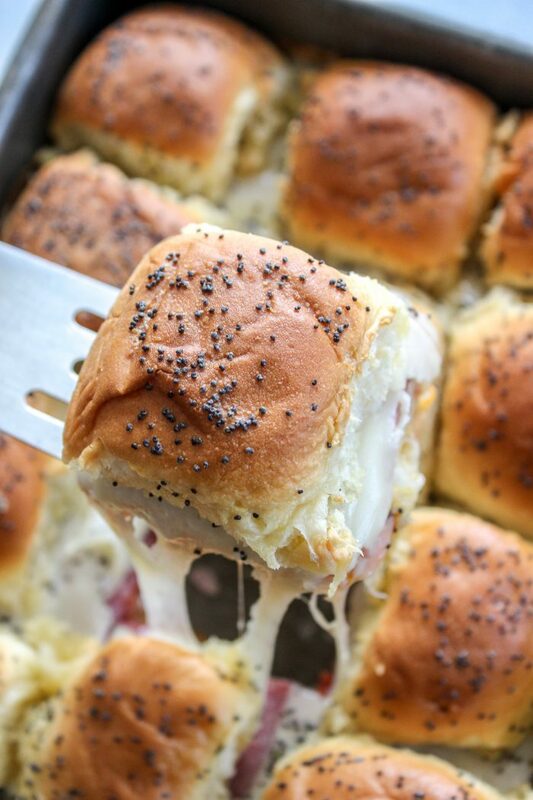 A simple and delicious 30 minutes meal, these Italian Sliders are bursting with flavor and a real crowd pleaser, even the picky eaters love them. Preheat over to 350 degrees. Spray a 9x13 pan with cooking oil. Slice rolls in half and lay the bottom part of the rolls in the bottom of the prepared 9x13 pan. Top the rolls with 8 slices of provolone cheese, 8 slices of the deli sliced black forest ham, 6 slices of the deli sliced pepperoni, 6 slices of the deli sliced salami and then top again with 8 slices of provolone cheese. 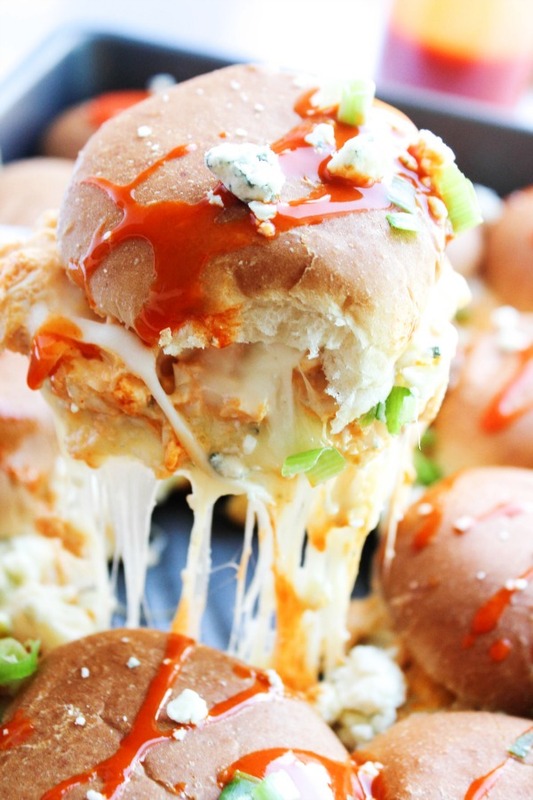 Top the cheese with the top of the rolls. 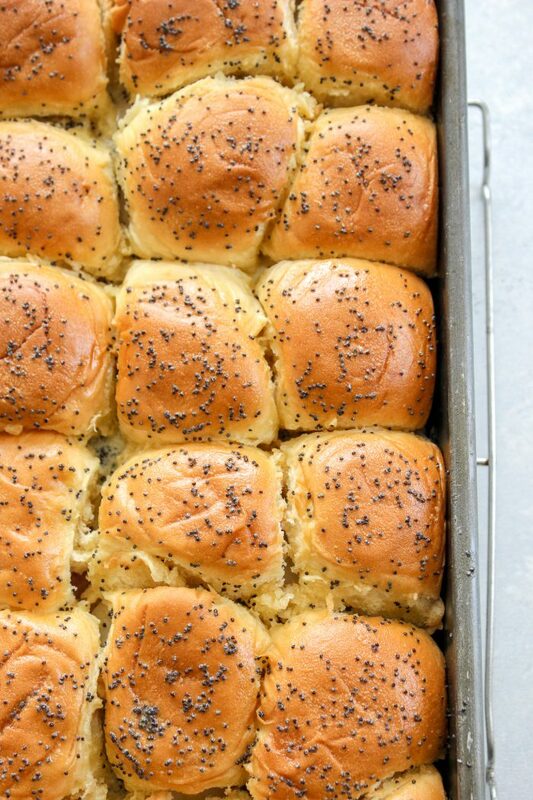 *Tip* To make this easy to serve before you bake cut between the individual rolls. 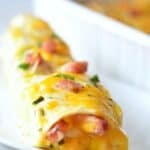 This will cut through the meat and cheese making it easy to serve once they are baked. Prepare butter topping by melting together 1 stick butter, Worchester sauce, yellow mustard and poppy seeds. *TIP* If you don't have Worchester sauce substitute with balsamic vinegar, make a great addition to the subs. You may also use Italian seasoning instead of poppy seeds. My kids prefer the look of the poppy seeds and they also find the Italian seasonings too overpowering. I prefer the Italian seasoning. Baste the butter mixture evenly over the tops of the rolls. Put rolls in preheated oven and bake for 15-20 minute or until cheese is melted and tops are a nice golden brown. Serve immediately with a side of marinara sauce if desired. 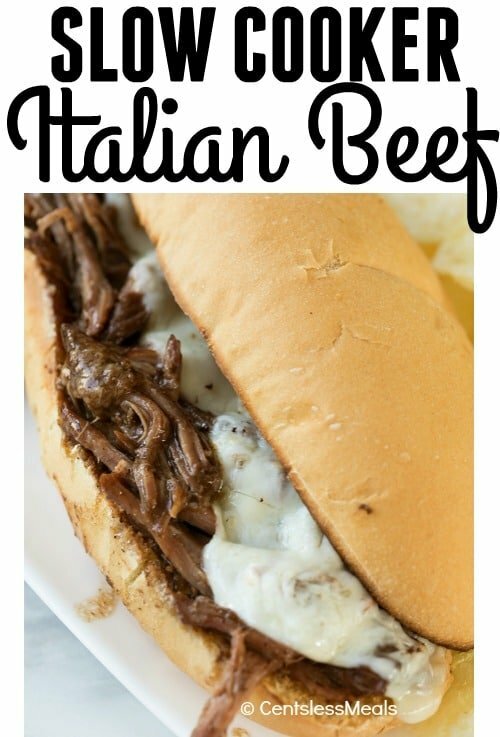 REPIN this Easy Sandwich Recipe!